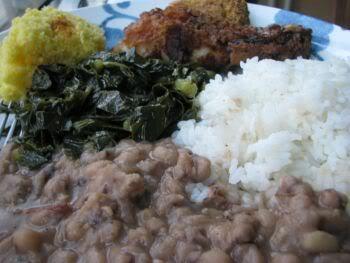 Among the traditional foods served on New Year's Day is black-eyed peas. Earlier in the week, I had written a note to the director of a nutritional clinical trial that I am participating in at the OSU Medical Center. Participants are not supposed to eat any legumes during the clinical trial: That means no beans or peas. Among the list of specific legumes to avoid eating are black-eyed peas, which as the article notes, have been part of the African American tradition of New Year’s Day food that represents prosperity in the coming year. Beloved, I pray that you may prosper in all things and be in health, even as your soul prospers. 2011 finds me in a clinical study. In the midst of a “two-week wash out” comes New Year’s Day. I must avoid food with beans or peas of any kind. No black-eyed peas on New Year’s Day: a contradiction. That now provides another chance to renew my mind. And wealth symbolized in mustard, kale or collard greens. These valued kitchen customs many folk still hold dear. I know God desires that I prosper and be in health. The verse from 3 John is also the introductory scripture to another poem related to the same theme of wealth and prosperity from a different perspective. As 2011 unfolds, we recognize that true prosperity does not come from the food we eat on the first day of the New Year, but that the blessings of the Lord abound to those who hear and heed His Word. A photo of Phyllis taken during the holiday season. “Memories are the treasures that we keep locked deep within the storehouse of our souls, to keep our hearts warm when we are lonely.” This quote from Becky Aligada expresses a profound truth that came to mind recently. I had been thinking about my late sister-in-law, Phyllis (Warren) Murdock, who had been a part of The Way Corps, a ministry leadership program of The Way International. While visiting the website for past Way Corps members, I was looking at the In Memoriam section dedicated to some of the former members who have fallen asleep in Christ, and I failed to see an entry for my dear friend and family member, Phyllis, who passed away in 1990. I decided to pay tribute to Phyllis, who was a member of the 10th Way Corps and to post it as a blog. 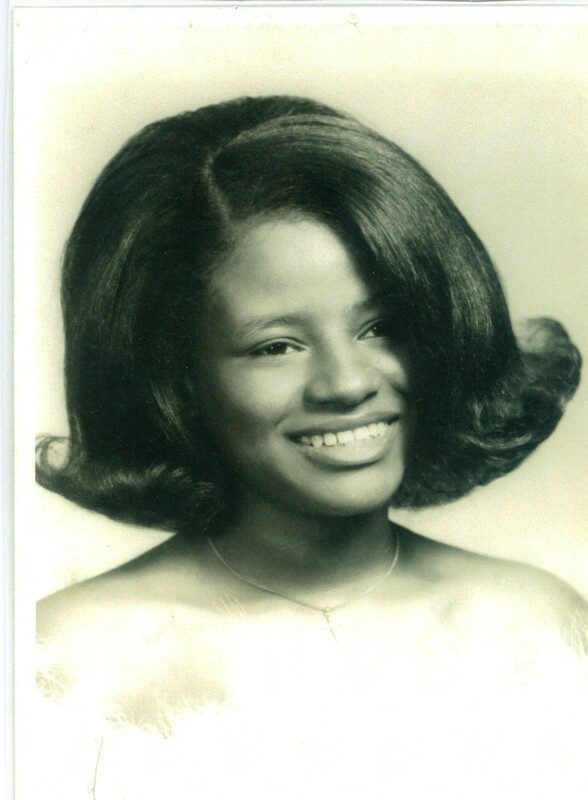 Phyllis Jean Warren was born January 20, 1951 in Kistler, West Virginia, and later her family moved to Hamilton, Ohio where she graduated from Garfield High School. She accepted the Lord Jesus Christ as her savior at an early age and devoted her life to Christian service. Those who were privileged to know Phyllis will recall her passion for life and her zeal for God and His people. In fulfilling her call to serve, she ministered in Ohio, Washington, DC, Atlanta, Georgia, and elsewhere while affiliated with The Way International. On June 17, 1984 she was joined in marriage to Staff Sergeant Duane Murdock, originally from Baltimore, Maryland. Shortly after their marriage, Phyllis and Duane lived in Bicester, England, where Duane was stationed in the Air Force, and they were a part of The Way of Great Britain. On September 22, 1990 Phyllis passed away following a brief illness, and she now awaits the return of our Lord and Savior, Jesus Christ. As a member of the 10th Way Corps, Phyllis also sang with Way Productions musical group “Limitless Love” and was featured on a number of songs, including “This Is Not the Time” and the ever-popular “I Know Who Holds Tomorrow.” Thanks to Michael Kasiak, Phyllis’s 10th Corps brother, here are recordings of these songs rendered in her own inimitable style. Phyllis radiated beauty from the inside out. The Verse of Day for June 14, 2014 is taken from Philippians 3:20 which in the King James Version ends with a colon, indicating that fullness of the subject is not complete without reading verse 21. He is able even to subdue all things to Himself. When we are gathered in the twinkling of an eye. So transformed and fashioned in splendid array. As all creation yearns and utters their deepest cry. Every fleshly flaw the love of God shall cover. In the rapturous gaze of our expectant lover. The work of our ministry has been perfected. On Thanksgiving Day, as I was assisting my daughter to prepare a magnificent meal, a feast fit for a king, her television was on to an episode of “Clean House,” a show that I that I had not seen before. “Clean House,” a home makeover and interior design television show on the Style Network, features host Niecy Nash and her cleanup-and-renovation crew who visit the homes of families to help them clean up their clutter. 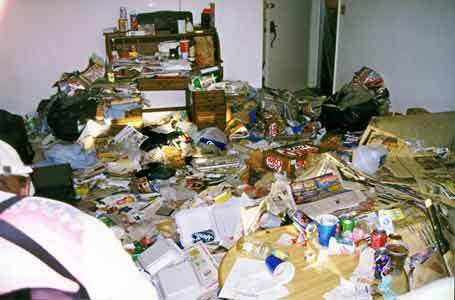 This particular episode focused on a number of contestants whose homes were selected as finalists in the search for the “Messiest Home in the Country.” As I watched the transformation of a home that was cluttered beyond belief, so that every room on every floor contributed to what was described as “an epic mess,” I noted a spiritual parallel. As is so often the case, my reflections on earthly matters result in a poetic expression, first in the natural then in the spirit. In addition, earlier in the week I attended a funeral of a dear sister in Christ, whose departure from this life came suddenly without warning. At the Homegoing service, my wife Brenda, read one of the most comforting passages from John 14:1-3 which added to the inspiration for the following poem that I completed on the day after Thanksgiving. obeyed; and he went out, not knowing whither he went. When your life seems to be one big mess. All you ever wanted was just to bless. Because you’re living in a strange land. Despite that you still must sing your song. Keep walking in faith; it won’t be long. Trust in the Lord, and you will grow strong. Things may not turn out the way you planned. Despite that you still must pray your prayers. On Christ you must cast all of your cares. Despite that you still must shout your shout. Walk in faith and don’t worry about doubt. Ask Job who knows what it’s all about. Trials are for a moment and won’t last. There’s a great cloud of folk cheering you on. Finish your course, you’ve already won. God sees and knows you’re a faithful son. But seems like your life took a turn and is now one big mess. Someday you’ll look back and see that all things worked together for your good. Just remember that no matter what happens that the Lord is good. A song that captures the essence of the transforming power of God to take what appears to be a disaster and fashion it into a vision of stunning loveliness is “Something Beautiful” written and performed by Bill and Gloria Gaither and the Gaither Vocal Band. In the midst of our messes, it is good to recall the goodness of God and His faithfulness to redeem, restore and to give life to every worst case scenario that we ever encounter.